Immigration Refugees and Citizenship Canada (IRCC) won’t release application refusal documents to applicants, unless you are a permanent resident or a citizen of Canada. To get your documents, you’ll need to provide written authorization to an immigration consultant or an immigration lawyer. ou have applied for a permit or visa, and the application was turned down. Now what? The Visa Officer’s notes or a copy of the entire case file sheds light on the reason for the refusal. However, Immigration Refugees and Citizenship Canada (IRCC) won’t release these documents to applicants, unless you are a permanent resident or a citizen of Canada. To get your documents, you’ll likely need to provide written authorization to an immigration consultant or an immigration lawyer to get your information on your behalf. 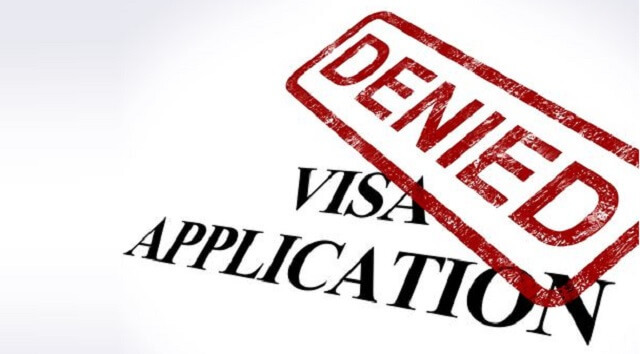 Regardless of the type of application you submitted for a visa or permit, when you receive a refusal letter, you will obviously want to know the reason why you were refused. The refusal letter checks off the area or areas in which the visa officer was unconvinced, and opted not to issue a visa or permit. For the most part,these are generic, template letters, that shed no light whatsoever on where your application was deficient or what else you could have submitted that would have made a difference. These notes and comments are often written according to specific guidelines, called Operation Manuals, and use acronyms and abbreviations that are specific to the Immigration and Refugee Protection Regulations. So, unless you are an immigration consultant or lawyer and have specific training and knowledge in immigration, these notes will not help you very much. If you are neither a permanent resident nor a citizen of Canada, you are not going to be able to obtain these notes yourself anyway. Many rejected applications can be slightly “tweaked” based on information derived from the CAIPS, FOSS and GCMS notes, and re-submitted, with a considerably increased chance of success second time around. If you prepared and submitted your application yourself, or if you had someone else do it for you and it was rejected, you will benefit from accessing these notes. For individuals wishing to learn the details of their medical reports, security reports, assessment of finances, travel history, ties to Canada and country of residence and such factors, or simply wanting to know the status of their application that was submitted some time ago, the best thing to do is to retain and work with someone like Upper Canada Immigration Consultants to access these notes, and interpret them for you. You will authorize that company or person to request your case notes and files. A regulated immigration consultant can be invaluable to you at this time. Any other documents that you think will be helpful to assess the notes and evaluate the negative decision, in order to help you take next steps. From the time a request for information is submitted, one can expect to wait between 4 – 6 weeks for the information to be obtained. If your third party representative is retained to also provide interpretation of the notes and guidance in moving forward with another application, then additional documents may be requested from you at this time by the representative. UCIC provides both the nominal service of obtaining the information on your behalf, as well as the full interpretation of the notes and case details, along with a recommendation for improving on a new application submission. Contact us.